Getting involved with programs you care about connects you to the information and people that will enhance the value of your membership. The Fayette County Diplomats offers current members an opportunity to share their expertise and enthusiasm with the community. Build your business relationships as we work together to help our community prosper. 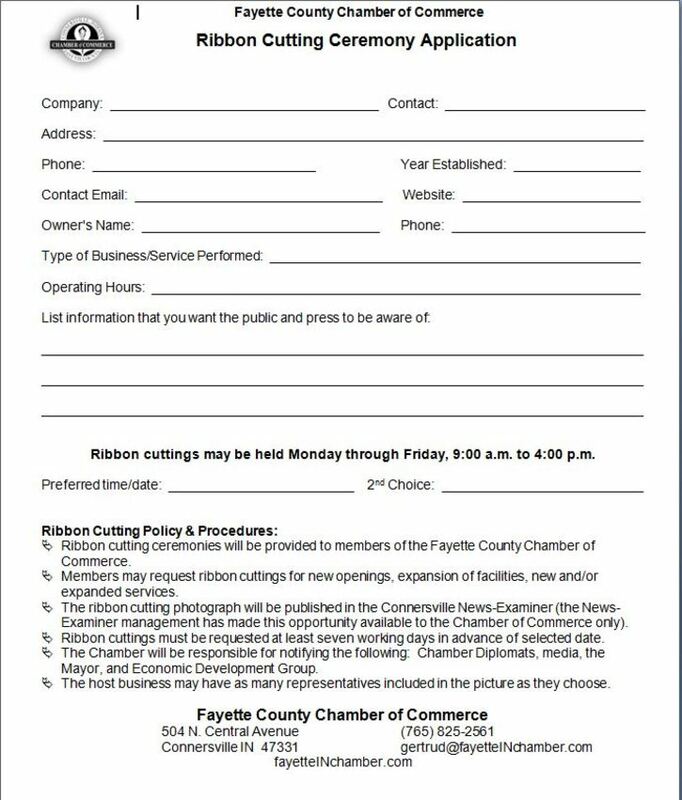 The Fayette County Chamber of Commerce Diplomats are the ambassadors and serve as the Official host group for Chamber sponsored functions. Chamber membership recruitment and retention is a continuing goal of this organization. The Diplomats are charged with identifying/welcoming new members to the Chamber via ribbon cuttings and participating in Chamber events. The Diplomats develop, promote, and present the annual dinner awards banquet program and the annual golf outing in cooperation with the Executive Office and Board of Directors. Please call your Chamber office at (765) 825-2561 for more information or to ask questions about getting involved. The Chamber's Diplomat Committee is also a great resource for information if you are thinking about joining the Chamber of Commerce. Thank you to our current Diplomat Committee for your work behind the scenes and upfront to bring events that we enjoy attending and for your outreach and warm welcome to our new members. Colena Frame - Independence Title & Escrow Co.
Shirley Risch - American Heritage Realty, Inc.
Brandon Townsend - Whitewater Broadcasting Corp.